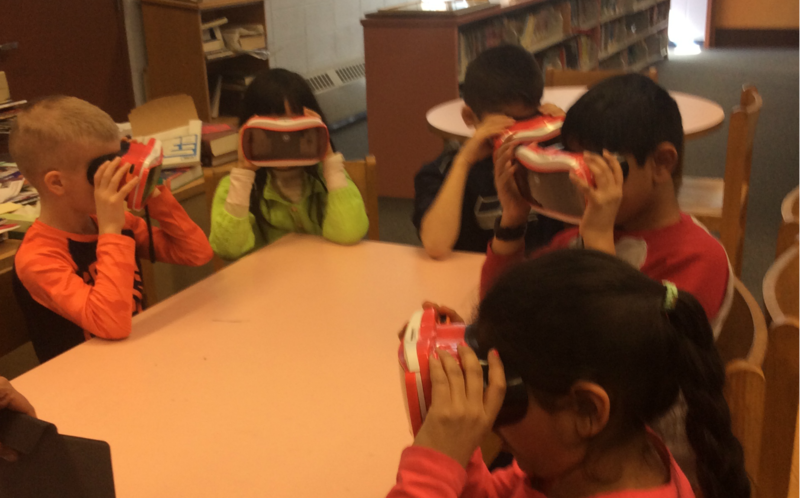 This grant will enable the techno library teacher as well as classroom teachers at Hopkins and Elmwood to immerse their students in virtual field trips bringing abstract concepts to life as well as offering the students a deeper understanding of the world beyond our classrooms. It will fund 60 Google Expedition View Masters and applicable devices, a tablet for teacher control of apps and charging tower. They will be stored in the library where teachers can sign them out.